Simon Cursey, joined the British Army at the age of 15, direct from school. By the time he was 19, he was an NCO in an infantry unit and travelled to Canada, Africa and most of Europe. When he was 21, he was singled out, selected and trained for a covert, undercover, counter-terrorist unit; the long-denied Military Reaction Force (MRF) which was a short lived British Military Intelligence counter-terrorist unit, formed in the most dramatic period of The Troubles in Northern Ireland, from 1971 to 1974. Influenced by friends, Simon decided to write this book because of the years of lies and misinformation surrounding the MRF and its activities, also to honour the brave men he had the pleasure to work alongside. After his time in the MRF and a few difficult years adjusting back into uniform, Simon decided to leave the British Army to follow other interests and now lives in a peaceful Alpine village in Italy. 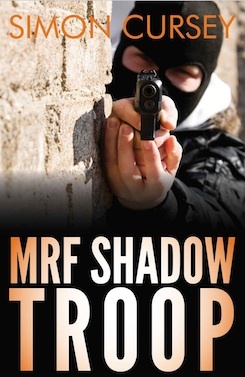 Simon Cursey’s shocking account of British undercover operations in Northern Ireland, MRF Shadow Troop, has generated huge coverage following the BBC Panorama investigation.